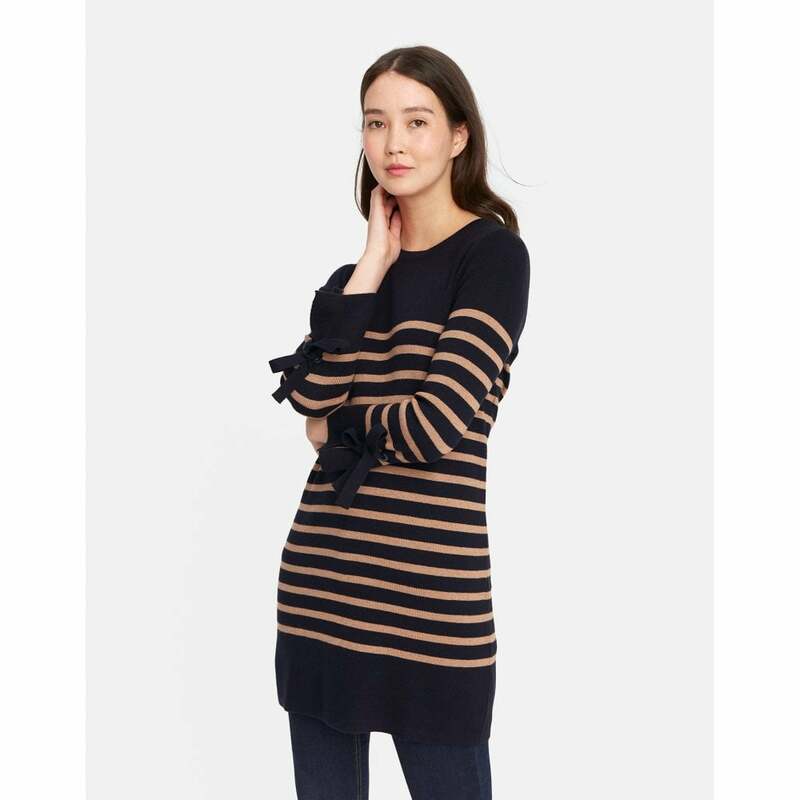 This fine knitted tie sleeve tunic is a perfect transitional piece for every women's wardrobe. Thin enough to wear under your coat or gilet as a substantial layer, or perfect on its own. Coordinate your outfit with the lovely navy and camel stripes.